Starting this Friday, September 3, dreams become all too real in the mind-bending hit Inception: The IMAX Experience coming to the largest screen in New England: the Aquarium's Simons IMAX Theatre. Prepare for your journey into the subconscious with a ticket giveaway every day this week! Today at noon, we'll post a question on our facebook fan page. Comment with the correct answer by 3 p.m. and you'll be entered to win a pair of tickets to see the newest film at the Simons IMAX Theatre. We'll contact the winner through direct message on facebook. If you don't win on Monday, check back on Tuesday, or Wednesday... or Thursday, or Friday! We'll be posting a new question and giving away another pair of tickets every day until the film opens on Friday. 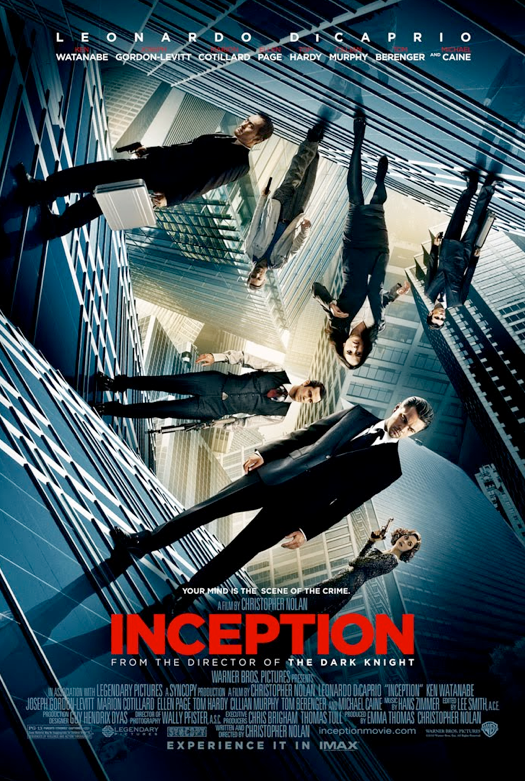 You won't want to miss your chance to see Inception for FREE. The intelligent thriller will take you into a labyrinth of intrigue, with crystal clear images of massive dreamscapes and surreal action sequences. Follow Cobb (Leonardo DiCaprio) and a team of expert information extractors as they freefall through a series of surreal mazes in an effort to manipulate reality. Check out the trailer for a taste of the gigantic special effects and psychological puzzles! "Inception is that rare film that can be enjoyed on superficial and progressively deeper levels, a feat that uncannily mimics the mind-bending journey its protagonist takes." "In this wildly ingenious chess game, grandmaster [Christopher] Nolan plants ideas in our heads that disturb and dazzle. The result is a knockout. But be warned: Inception dreams big." This film runs 2 hours and 28 minutes, rated PG-13. Party After Dark at the Aquarium! Celebrate OVO before heading back to school! Penguin Pursuit Contest - Rained out! What's in an African penguin name? Win free tickets to Cirque du Soleil! The Cat in the Hat knows where it's at! Penguin Pursuit headed to a cool new location! New offer, exclusively for members!